Blinds and Valances for Commercial Setting - Sew What? Sew Anything! These blinds and valances are part of a commercial installation. The environment required beautiful yet functional treatments for many areas of this senior day spa, Grand Mere in Lansing, Michigan. 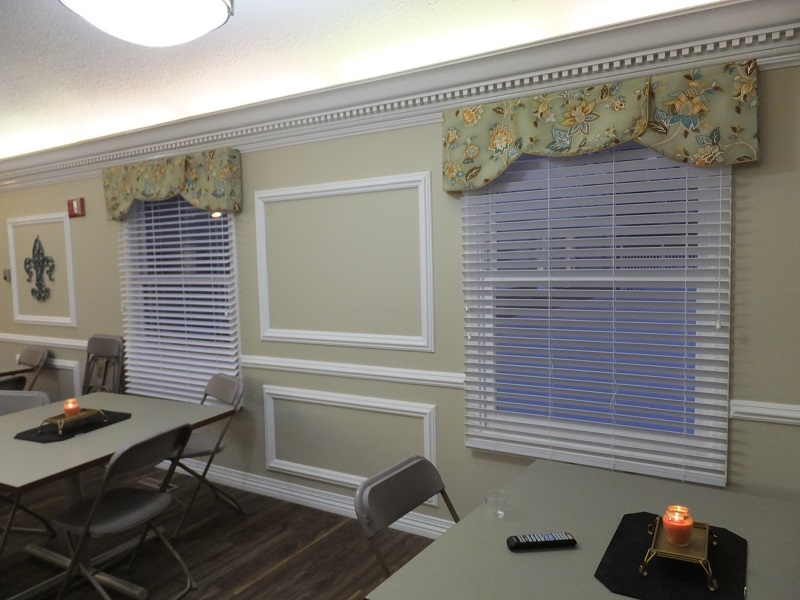 The fabric choice and valances were selected to set an elegant tone and the blinds offered great function and style.